Welcome to Boston Youth Lacrosse! Boston Youth Lacrosse Association (based in South Boston, Massachusetts) is a not-for-profit organization established to teach the youth of our communities the game of lacrosse - the fastest game on two feet!. Established in 1997 as South Boston Youth Lacrosse, the organization received a major facelift in 2016. We expanded our athlete pool to all Boston neighborhoods, embraced a more mobile-technology platform, offered online registration, all while continuing the tradition of our tight-knit community youth sports program. Whether you are returning to the program or interested in playing lacrosse for the first time, you will find that 2019 is going to be our most successful seasons to date - both on and off the field. 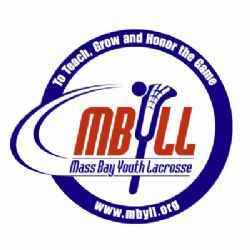 We have passionate, knowledgeable coaches, great practice and playing facilities, and are part of a very competitive league in Mass Bay Youth Lacrosse League's South Central region (boys) and Founders Girls Lacrosse League's Metro region (girls). Welcome to our website and program! This year we are offering an Instructional lacrosse program. It will be a learn to play clinic with lots of fun and games! This program is open to both Boys and Girls ages 4 and 5. It will run from 9am to 10am on Saturdays beginning in April. All registrants must first obtain a US Lacrosse member ID then they can register on our website. There is a $25 fee for registration.